An Israeli police officer physically assaulted and badly wounded a Palestinian citizen on Thursday morning outside the Aqsa Mosque compound before rounding him up. The victim, Nidam Abu Ramuz, said that he was standing as usual at al-Asbat Gate in the morning because the Israeli police do not allow him and many others to enter the Mosque during the presence of Jewish settlers inside. Abu Ramuz told Quds Press that an Israeli policeman checked his ID and insulted him with no reason before the situation turned into a verbal altercation between him and the officer. He added that the same policeman subdued him and took him to a police station in al-Asbat area where he embarked on brutally beating him on his head and face before an Israeli police patrol showed up and transferred him as he was bleeding to another police station in western Jerusalem and then to Hadassah hospital. According to Quds Press, the police will interrogate Abu Ramuz on Friday in al-Qishla police station. Israeli soldiers attacked and injured, Thursday, a Palestinian man after cuffing and detaining him near the Al-Aqsa Mosque, in occupied East Jerusalem. The Palestinian Nitham Abu Ramouz, 37, was detained by the soldiers near the Gate of the Tribes as he was heading to the Al-Aqsa Mosque. He was cuffed and blindfolded before the soldiers assaulted him, especially on his face and head, while moving him al-Qashla nearby detention and interrogation center. 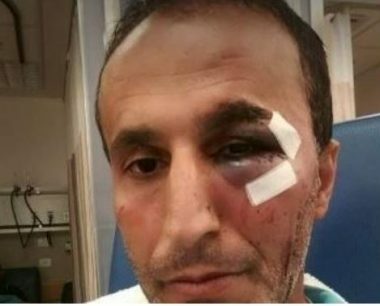 The assault left the Palestinian bleeding from the face and head, and the Police later decided to move him to Hadassah hospital, after he suffered cuts and bruises, especially around his left eye, and received eight stitches. Hours later, Abu Ramouz was released after being ordered to return, Friday, for interrogation. GAZA, PALESTINOW.COM — Israeli soldiers fired, on Friday morning, live rounds at the Great Return Camp, east of Khan Younis, in the southern part of the Gaza Strip. Media sources said the soldiers, stationed on military towers near the perimeter fence, east of Khan Younis, fired many live rounds at the Palestinians, and added that the attacks did not lead to casualties. 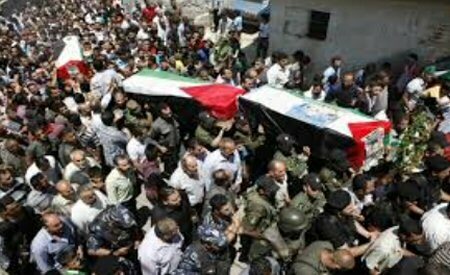 The attack comes ahead of the Great Return March processions, which will be held today for the 23rd consecutive week since the nonviolent protests started on Palestinian Land Day, March 30th, 2018. Since then, the army killed 171 Palestinians, including medics, journalists, women and children, and injured at least 18300 others, in several parts of the Gaza Strip. Iran, a country without nuclear weapons, is threatened with atomic annihilation by a warmonger standing next to an actual nuclear weapons factory. Beyond shameless in the gall. Israel yesterday carved a hole into the Old City walls of occupied Jerusalem to create a new “gate” near the ancient Damascus Gate (Bab Al-Amoud). The news came from Palestinian sources inside the city which said that for several days the Jerusalem Municipality has been making changes to an inner courtyard of the Christian Quarter, Quds Press reported. The new “gate” is thought to lead to Christian homes inside the Old City, but the reasons for its construction are unclear. Earlier this week, Israel also razed Palestinian land in Jerusalem’s Sheik Jarrah neighbourhood, despite not having a court order to do so. Hashem Badr, a member of a local committee, said that Israeli bulldozers entered the neighbourhood and began to raze the land and uproot several trees under the protection of Israeli occupation forces. Badr stressed that the Custodian of Absentees’ Property, the department responsible for the razing, attempted to claim ownership of the property and carry out the seizure of the land without an official court order. Jerusalem has been under Israeli occupation since the Six Day War of 1967. Following the war of 1948, which saw the creation of the State of Israel and the Palestinian Nakba, Jerusalem was divided into two with the East (including the Old City) falling under Jordanian control and the West under Israeli control. 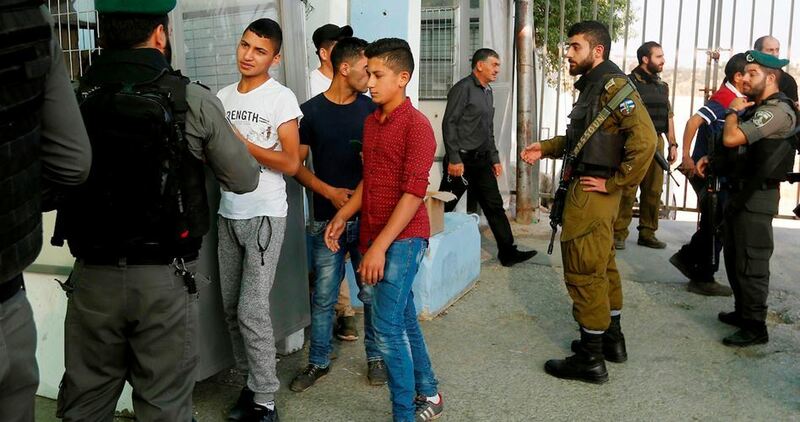 The city is now administered by Israel’s Jerusalem Municipality, which is seen by Jerusalemite Palestinians as an illegitimate institution and often boycotted in municipal elections. The possibility of launching another military assault against Hamas in the Gaza Strip, would result in Israel “paying the price” and taking control of the Strip, Israeli Defence Minister Avigdor Lieberman, warned yesterday. “As far as I know, there is no chance of Hamas winning free elections in Gaza,” he stressed. In 2006, Hamas won the Palestinian legislative elections which were held in the occupied Palestinian territories. The Fatah-run Palestinian Authority based in occupied Ramallah refused to hand over power to Hamas creating a rift which is ongoing. Israel place the Gaza Strip under an air, sea and land blockade following the election, controlling Palestinians’ access to basic amenities and causing the unemployment rate to rise as a result of the limited resources.